Snowmobile trail conditions and information on trails and clubs in Eau Claire County. An interactive map tour of Michigans snowmobile trails with printable maps, trail conditions, photos, stories, and tips. Links to Michigan snowmobile rules and regulations. Snowmobile Trail Reports submitted by actual riders, chat room, classifieds, events calendar, club info. Site is categorized by State or Province. Snowmobile club located in the Allegheny National Forest. Offers trail conditions, trail maps, events schedule, club information, photos and forums. Dunn County, West Central Wisconsin. Offers snowmobile trails information, including trail map, trail conditions, events, club information and photo albums. Share GPS maps, trail and weather reports. Directory of snowmobile dealers, forums and aftermarket retailers. Snowmobile club open to all trail enthusiasts. Membership information, event listings, photo gallery, trail descriptions and maps, and related links. A snowmobile club. Offers maps, contact and membership information, trail reports, and photo gallery. Snowmobile club located in Newberry, Michigan. Offers maps, contact and membership information, trail reports, and photo gallery. Member of the Huronia Snowmobile Southern Zone and maintains over 200 kms of trails. Includes trail map and permits, driver training, photo albums, links and contact information. Offers Michigan snowmobile trail reports, lodging, sled rentals and many other snowmobile related activities. Upstate NY not for profit snowmobile club. Membership information, calendar, trail map, newsletter and weather. Snowmobile club, member of the Rum River Trail Association and the Minnesota United Snowmobile Association. Meetings the second Tuesday of each month, at Mansettis. Organization of local snowmobile enthusiasts. Includes a club overview, membership information, pictures, trail conditions, and a newsletter. Newsletter, membership signup, contact info, trail maps, and trail conditions. Offers snowmobile trail conditions in the Eagle River, Wisconsin area. Local snow conditions and weather forecasts. Trail system has over 500 miles of groomed snow. Includes trail reports, lodging, and maps. Located in Dubreuilville. Provides calendar of events, trail report, photos, membership application, newsletter, trail map, and snow depth chart. Includes trail conditions, weather, events calendar, photo gallery, links, detailed trail maps and contact information. Snowmobile Club in Bloomer,Wisconsin. Check trail conditions, membership information, fun snow photos, and club events. Offers information about trail conditions, coming events, meeting minutes, an application for membership and a trail map. Located in Oxbow. An alliance of 20 Dane County, Wisconsin snowmobile clubs. Includes club information, calendar of events, weather, and trail conditions. Maintains over 100 miles of trails in and around Warner. Includes directory of elected officials, membership information, event listings, photo gallery, trail descriptions and maps, and related links. News and events, trail maps, trail reports, contact info, membership application, message board, local lodging, gas and food info. Ironwood Sno-goers snowmobile club in Baldwinsville NY. Check trail conditions, membership information, snowmobiling photos, newsletters, printable maps, safety courses and club events. Complete Snowmobile and sledding information, snowmobile reviews, tech, and projects. View club news, trail maps, and events related to snowmobiling in and around Henniker. Offers information about Trail-A-Sled, Inc., creators of the legendary Scorpion snowmobile. If the business hours of Eau Claire County Snowmobile Trails in may vary on holidays like Valentine’s Day, Washington’s Birthday, St. Patrick’s Day, Easter, Easter eve and Mother’s day. We display standard opening hours and price ranges in our profile site. 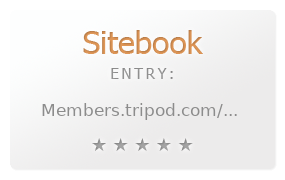 We recommend to check out members.tripod.com/~ECcounty/ for further information. You can also search for Alternatives for members.tripod.com/~ECcounty/ on our Review Site Sitebook.org All trademarks are the property of their respective owners. If we should delete this entry, please send us a short E-Mail.